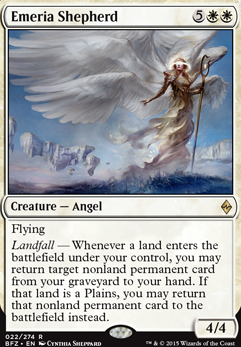 Landfall — Whenever a land enters the battlefield under your control, you may return target nonland permanent card from your graveyard to your hand. If that land is a Plains, you may return that nonland permanent card to the battlefield instead. DrkNinja on Swing for the Win! Restoration Angel: Great with the combo not without. lightkeeper of emeria: Emeria Shepherd would be good here instead. Utvara Hellkite: Not enough dragons! There should be an "Updates" section just above the comments with a green "Add" button to the right. Treasure Map Flip was on my short list for a while before the Command Zone episode but it never clicked in my head that it could be a swap over Read the Bones . 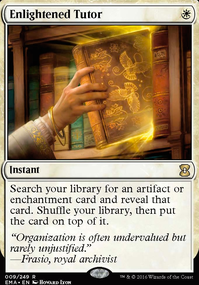 RtB has the benefit of giving immediate value (making it a great top deck later on) while TM is more of a long term value engine. 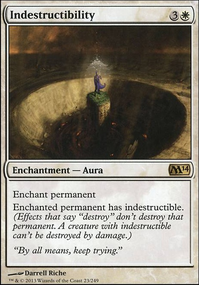 I'm still looking for a card that provides some immediate value, Skeletal Scrying is high on my list for that. Fall of the Thran was never included because of Emeria Shepherd but just had some additional synergy. The way you describe it, you're using FotT wrong. It's (almost) never used to stall the game. You use it to seal the deal. Once you've done your big play, you follow it up with FotT so it's highly unlikely that someone can respond in the next few turns outside of the stuff that is on the board. It's also usable to cripple a ramp player. Someone plays Boundless Realms , you play FotT, gg. The only time when I would use FotT to stall is when i'm stuck on mana and I need to equalize it. 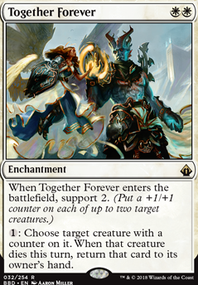 Say you finally get your fourth mana to cast Academy Rector while the rest is on 7-8 lands, in that case FotT is a very real option if I don't suspect graveyard removal. FotT is at its best with Academy Rector. If you have Rector in play and someone plays a sweeper, you can float mana, exile Rector to find FotT and use your mana to cast Thrilling Encore . If you have a Cathars' Crusade in play and cast a big token producer ( Army of the Damned , Grave Titan ), sac your Rector and protect your board from responses. You now have 1-2 turns to take out the biggest threat to your board. So to conclude, Shepherd is not required to play FotT. Academy Rector more or less is though. I dig your explanation on the update yesterday. I saw Treasure Map Flip on a Command Zone game knights episode and it just did so much work.....WITH Smothering Tithe too! Ima be picking up one of them. With the cut of Emeria Shepherd do you plan to cut Fall of the Thran ??? I got an emeria shepherd because of your list and it's seemingly great synergy, but I never added Fall of the thran because to me it was just an "oh that's cute, you're gonna stall out the game now cuz you have no way to win?" kinda card. Land destruction makes you the prime target in my playgroup. Thanks for the upvote Goretast! I want to preface this by saying I don't (currently) want this deck to be super competitive like yours, I'm aiming for a power level of about 6-8. so optimized focused/optimized? I used Amulet of Vigor before, and it was pretty good but I preferred flashier cards.. I'll probably end up adding it back in. Stony Silence will also probably be finding a place, but I really have no idea what to take out. I saw on your deck that you don't run Rampaging Baloths or Emeria Shepherd , due to their high costs and slow effects, and I can agree with you there; but my main wincon is protection some big creatures then beating with them, so I'd prefer to not lower my creature count. What could i replace those two with (if anything), and what would you suggest I remove to make room for your two suggestions? I never understood why so many people build Karametra as an enchantress deck. Her strength is clearly Creatures and Landfall! 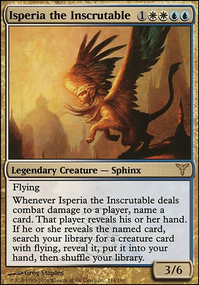 So I'm glad you are running Courser of Kruphix , Lotus Cobra , Emeria Shepherd , Emeria Angel , Rampaging Baloths , Admonition Angel , Tireless Tracker , and Avenger of Zendikar . But in a deck that takes so much advantage of landfall, why only 1 fetchland? If you added more fetchlands, and then Azusa, Lost but Seeking , Ramunap Excavator . . . suddenly your Lotus Cobra is getting you 6 mana per turn completely for free, Rampaging Baloths is dropping 6 beast tokens per turn completely for free. Plus the extras you'll get for playing creatures and triggering Karametra. Obviously fetchlands plus Karametra/Creatures triggers will run you out of basics to fetch. But when that happens you should be so far ahead that you can find a wincon. If you put in Quirion Ranger , Scryb Ranger , Jungle Basin , and Karoo , and you don't even need lands in your deck to keep getting the land drop triggers. 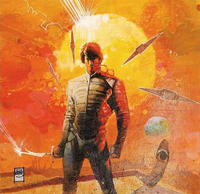 If you wanted even more land drops you could of course run Wayward Swordtooth , Oracle of Mul Daya , Llanowar Scout , Sakura-Tribe Scout , Walking Atlas , probably others I can't think of off the top of my head. I'm putting together this commander deck. Dakkon Blackblade was my favorite legend when I first played MTG (too bad I gave away my old Legends-era collection that included him). Thanks for sharing it! Some of the cards are now above the 30-cent price range: Druidic Satchel , Golem-Skin Gauntlets , Emeria Shepherd , but they're still reasonably cheap and worth getting.